Unfortunately the study found little to no benefit (no more than sham) using tDCS with two different montages to treat tinnitus. What is very interesting however, is that the study allowed participants to administer tDCS at home. A Sooma tDCSTM device (Sooma Oy, Helsinki, Finland) was used in the study. The device is designed and approved for patient use with pre-programmed treatment parameters and hardware-level safety limits. 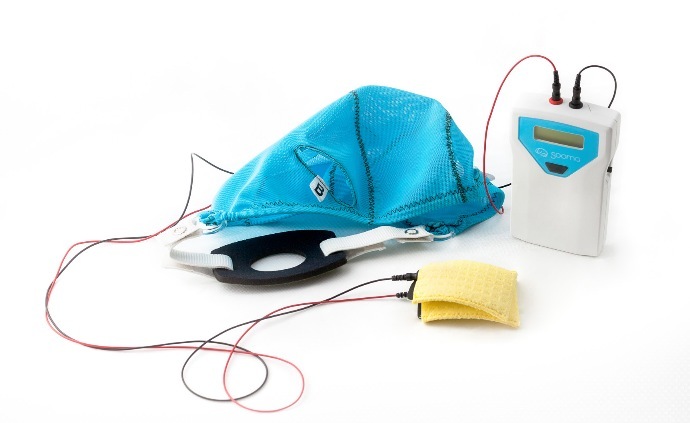 Patients were given a package consisting of the stimulator unit and stimulation electrodes (consisting leads and pads) along with three pairs of sponge pouches for the electrode pads, a head cap with openings for the electrodes (Fig 1), a chinstrap and 0.9% saline solution. In Europe, Sooma depression solution was approved for depression treatment in 2014. Reader Patty asked if there were reports of tDCS being effective in the treatment of tinnitus. As this is an important issue to me as well, I thought I’d collect whatever related links I have to the research in one place. While the results I’ve read here seem inconclusive, if I were one of the 3% of tinnitus sufferers for whom the constant sound is extremely disturbing, I wouldn’t hesitate to try one of the protocols outlined in these studies. If you have information to share about your own experiences with tDCS and tinnitus please post them in a comment. Comparing immediate transient tinnitus suppression using tACS and tDCS: A placebo-controlled study (gated) In regard to tDCS, our results obtained confirm previous findings that bifrontal tDCS with the anodal electrode placed over the right DLPFC and the cathodal electrode placed over the left DLPFC can modulate tinnitus annoy-ance and tinnitus loudness. A tinnitus/tDCS discussion on Reddit. Tinnitus is the perception of a sound in the absence of an external auditory stimulus and affects 10–15% of the Western population. Previous studies have demonstrated the therapeutic effect of anodal transcranial direct current stimulation tDCS over the left auditory cortex on tinnitus loudness, but the effect of this presumed excitatory stimulation contradicts with the underlying pathophysiological model of tinnitus. Therefore, we included 175 patients with chronic tinnitus to study polarity specific effects of a single tDCS session over the auditory cortex 39 anodal, 136 cathodal. To assess the effect of treatment, we used the numeric rating scale for tinnitus loudness and annoyance. Statistical analysis demonstrated a significant main effect for tinnitus loudness and annoyance, but for tinnitus annoyance anodal stimulation has a significantly more pronounced effect than cathodal stimulation. We hypothesize that the suppressive effect of tDCS on tinnitus loudness may be attributed to a disrupting effect of ongoing neural hyperactivity, independent of the inhibitory or excitatory effects and that the reduction of annoyance may be induced by influencing adjacent or functionally connected brain areas involved in the tinnitus related distress network. Further research is required to explain why only anodal stimulation has a suppressive effect on tinnitus annoyance. via Polarity Specific Suppression Effects of Transcranial Direct Current Stimulation for Tinnitus. The purpose of this systematic review is to summarize the current knowledge regarding the neurobiological mechanisms involved in the effects of tDCS. Neuroenhancement of the aging brain: restoring skill acquisition in old subjects. The main finding was that old participants experienced substantial improvements when training was applied concurrent with tDCS, with effects lasting for at least 24 hours. Examining transcranial direct-current stimulation (tDCS) as a treatment for hallucinations in schizophrenia. Modulation of training by single-session transcranial direct current stimulation to the intact motor cortex enhances motor skill acquisition of the paretic hand. Interactions between transcranial direct current stimulation (tDCS) and pharmacological interventions in the Major Depressive Episode: Findings from a naturalistic study. Amelioration of cognitive control in depression by transcranial direct current stimulation. The present study demonstrates that anodal tDCS applied to the left dlPFC improves deficient cognitive control in MDD. Transcranial direct current stimulation of the motor cortex in the treatment of chronic nonspecific low back pain: a randomized, double-blind exploratory study. Comparing immediate transient tinnitus suppression using tACS and tDCS: a placebo-controlled study. …bifrontal tDCS modulates tinnitus annoyance and tinnitus loudness, whereas individual alpha-modulated tACS does not yield a similar result. Review of transcranial direct current stimulation in poststroke recovery. 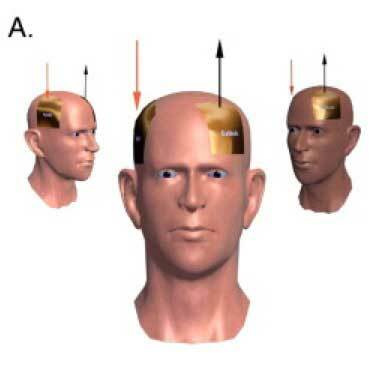 In this review, we summarize characteristics of tDCS (method of stimulation, safety profile, and mechanism) and its application in the treatment of various stroke-related deficits, and we highlight future directions for tDCS in this capacity. 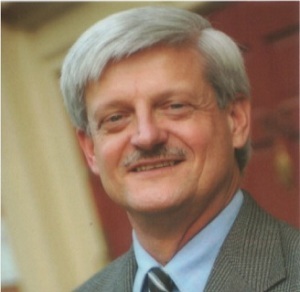 Dr. Jim Fugedy runs the Brain Stimulation Clinic, in Atlanta, GA, and has been treating patients using tDCS since 2007. Download the interview here (zipped mp3). The Brain Stimulation Clinic in Atlanta is the destination for memory and learning enhancement and treatment-resistant patients who suffer from chronic pain, fibromyalgia, migraine headaches, CRPS, depression and tinnitus. Transcranial direct current stimulation (tDCS) therapy is provided in a pleasant, relaxing environment. Instruction, training and supervision for home use is also available for select patients. 20 minute treatment for 5 days. Can be treated at the clinic for 1-2 weeks. Or home treatment package. For chronic pain, the M1 is the most used area and that’s almost always my first choice. But you can use the cathode over the somatosensory (S1) cortex, to down-regulate the patient’s perception of pain. And you can also stimulate the Dorsalateral prefrontal cortex which is involved in the emotional component of pain. Looking at stimulating right dorsalateral prefrontal cortex to attenuate anxiety. for the non-pharmaceutical treatment for ADD. Only side effect Jim has seen is skin burn (but easily avoided with sponge electrodes). Harvard one day course on how to treat with tDCS. Taught 3-4 times a year. Contrast with approved Electromagnetic treatment for depression (I think he’s referring to TMS transcranial magnetic stimulation here) A 6 week 30 treatment protocol costs between $10-15,000. Affects last about 6 months. And even though it’s certified, it’s not covered by insurance. …”in the 12 years that it’s been used there have been no side effects reported other than skin (irritations). Tinnitus has been a part of my life for so long I can’t remember not having it. While it doesn’t seem to bother me the way it does others, it can be very annoying, especially when I’m in a very quiet environment, camping for instance. So it would be incredible if a breakthrough in tinnitus treatment were to come along. Background. Perception of sound in the absence of an external auditory source is called tinnitus, which may negatively affect quality of life. Anodal transcranial direct current stimulation tDCS of the left temporoparietal area LTA was explored for tinnitus relief. Objective. 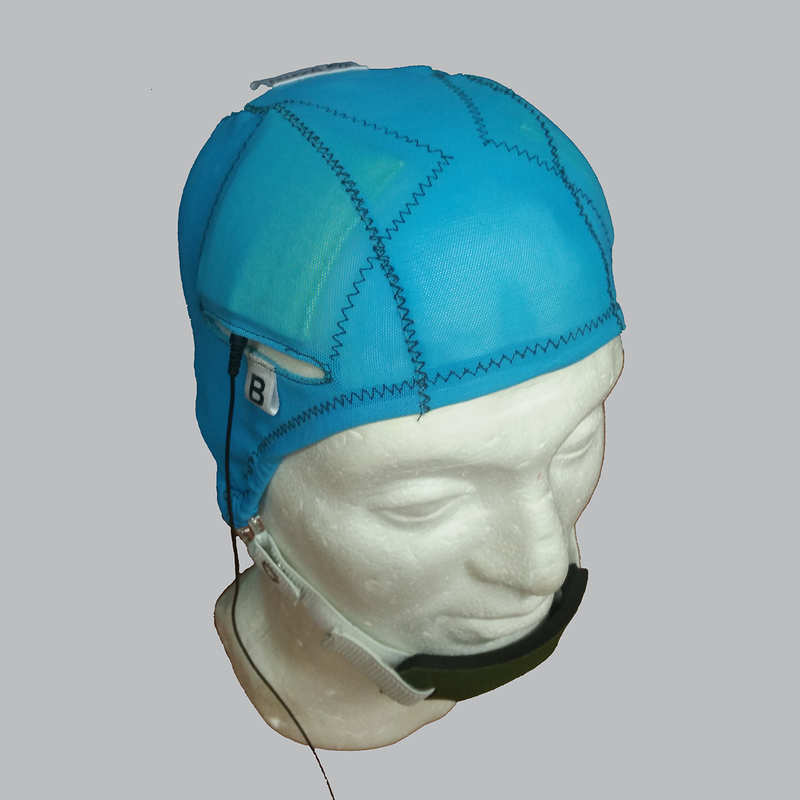 This pilot study examined tDCS dose current intensity and duration and response effects for tinnitus suppression. Methods. Twenty-five participants with chronic tinnitus and a mean age of 54 years took part. Anodal tDCS of LTA was carried out. Current intensity 1 mA and 2 mA and duration 10 minutes, 15 minutes, and 20 minutes were varied and their impact on tinnitus measured. Results. tDCS was well tolerated. Fifty-six percent of participants 14 experienced transient suppression of tinnitus, and 44% of participants 11 experienced long-term improvement of symptoms overnight—less annoyance, more relaxed, and better sleep. There was an interaction between duration and intensity of the stimulus on the change in rated loudness of tinnitus, F2, 48 = 4.355, P = .018, and clinical global improvement score, F2, 48 = 3.193, P = .050, after stimulation. Conclusions. Current intensity of 2 mA for 20 minutes was the more effective stimulus parameter for anodal tDCS of LTA. tDCS can be a potential clinical tool for reduction of tinnitus, although longer term trials are needed. Again, this study begs the question: If 2 mA was more effective than 1 mA, why not 3? P.S. Thanks you know who you are! via Transcranial Direct Current Stimulation Intensity and Duration Effects on Tinnitus Suppression. Subjective tinnitus is a distressing condition characterized by the sensation of sound or noise in the absence of internal or external stimuli. Research indicates that tinnitus may develop due to maladaptive plastic changes in the auditory cortex and limbic system. These changes can be targeted using safe and noninvasive brain stimulation techniques like transcranial direct current stimulation tDCS. TDCS alters the excitability of the cortex using a weak direct current and may lead to long-term plastic changes, making it a potential therapeutic tool for the treatment of tinnitus. Transient improvements in tinnitus have been reported after inhibitory stimulation of the auditory cortex and after excitatory stimulation of the prefrontal cortex, however the effects of a combined stimulation paradigm remain unknown. We hypothesize that a cumulative effect will be observed following repeated sessions of tDCS by modulating both the excitability of the auditory cortex and prefrontal cortex. 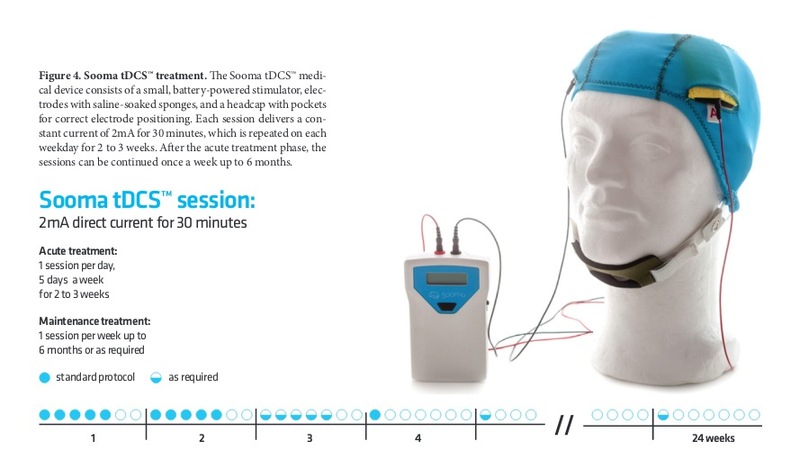 via Tinnitus Clinical Trial: Transcranial Direct Current Stimulation tDCS for the Treatment of Tinnitus [Conditions: Tinnitus; Interventions: BrainSTIM Transcranial Stimulator, BrainSTIM Transcranial Stimulator].